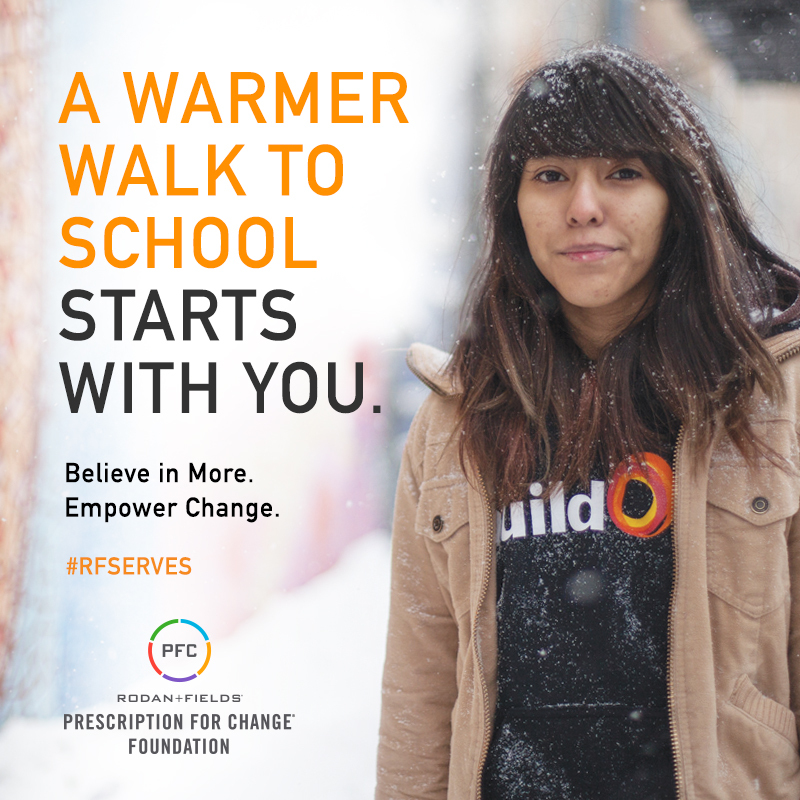 This fall, as temperatures start to drop, we invite you to give warmth to some of the 15 million children living in poverty in the U.S. by serving with the Rodan + Fields Prescription for Change® Foundation and buildOn. There are more than 15 million children living in poverty in the United States, and nearly one in five kids will be homeless at some point in their lives. For these kids, winter coats are often not considered a top priority. 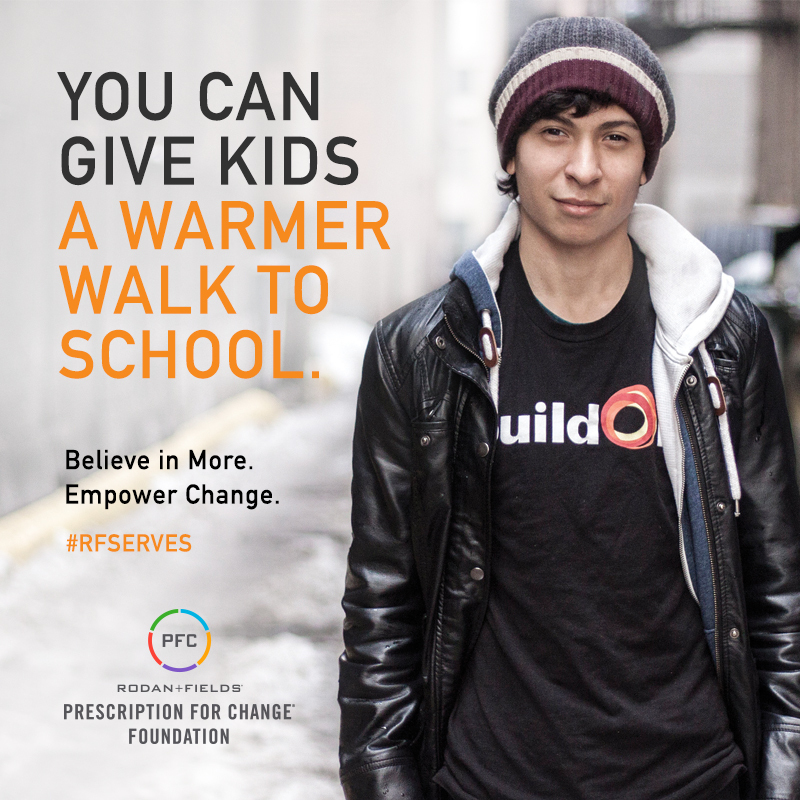 Let’s give students the warm items they need to get to school safely. This November collect new or gently used coats, jackets, scarves, gloves and snow boots for children in your community. Then, hold an event to gather and distribute items to a local school, shelter or community center. This toolkit contains tips and instructions for a successful project.